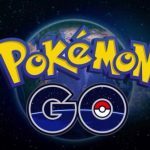 The world is still absolutely crazy about Pokémon GO, and by the looks of things, this phenomenon doesn’t appear to be going away anytime soon. 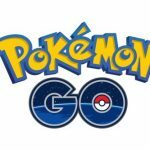 The game is the hottest thing on both Apple’s App Store and Google’s Play Store, and the game’s maker, Niantic, has often had to deal with server issues due to the incredible response to the title. And since we’ve been giving you quite a few strategy guides for the game in recent days, you’re probably wondering how you could add a touch of style when throwing those PokéBalls. Yes, it is possible to throw trick shots with your PokéBalls, and one of the most popular of these trick shots, if you can call them that, is the Curveball. Just like baseball pitchers use curveballs to gain an additional edge against an opposing team’s batters, you can use the Curveballs in Pokémon GO to your advantage as well, allowing you to catch more Pokémon once you’ve mastered the technique. And that’s what we’re going to help you with right now, as we bring you our latest Pokémon GO strategy guide, covering the different ways you can throw a perfect Curveball. 1. The Basics Of The Curveball – Why Should You Throw One Anyway? You’re probably wondering why you should learn how to throw a Curveball, and why you shouldn’t settle on throwing the PokéBalls, Great Balls, or Master Balls like you would normally do. As we explained in the analogy above, it’s just like how baseball pitchers try to fool their hitters by throwing curveball pitches – that adds a bit of a spin to the ball, though this typically trades speed off for deceptiveness. But that last tradeoff does not apply in Pokémon GO, as curving your throws actually makes them faster; the basic idea here is to swipe at a high speed to add spin to the PokéBalls. Catching a Pokémon with a regular throw may be all well and good, but catching one with a Curveball is much better, as that adds a decent amount of experience points to your total. You’ll also get bonus XP if the colored circle inside the white circle shrinks to its smallest possible size. One of the best ways to throw a Curveball in Pokémon GO is to use a tap, hold, and spin movement on your device’s screen. It is what it is – tap on the screen, hold down on it, and spin your finger around, like you were drawing a circle. It can be to the left or to the right, but it doesn’t really matter as long as your timing is on point. Notice that your Pokéball will begin to move and sparkle once you’re spinning your finger around. Monitor the circle around the Pokémon you’re trying to catch, and wait until the circle becomes very small. You can then swipe your finger toward that small circle, allowing you to throw your Curveball. This technique requires less work, though it also happens to be less fancy. Still, you’ll be getting rewarded with more experience points by doing this, so wipe in a curve on your device’s screen, all while your finger is held down; do not lift that finger as you try to make the proper aim while holding! Take note, however, that this technique may sound easy, but is actually trickier when put into practice. As such, you might want to practice mainly on this one if you want to mix things up beyond the common Curveball. When it comes to improving the aim of your Curveballs, it’s a good idea to grab a special pen or a marker and draw lines on your touchscreen. This isn’t always the most popular way to throw a curve, as it clearly involves messing with your device. But it possible to do this, and this tip can be a great help for anyone who’s having a hard time perfecting their aim. Once you draw the lines, you can go for a direct hit on a Pokémon if they’re right in the middle. It’s not uncommon to see Pokémon GO players using their thumb when throwing their PokéBalls. But it may be better if you try using your index finger instead, as using your thumb naturally adds a bit of a curve to your aim, which isn’t where you want to be when you’re trying to catch more Pokémon. Using your index finger may look awkward, but if you hold your phone in one hand and use your other hand’s index finger to throw your curve, you’ll be doing that with less time, and in a smoother fashion.